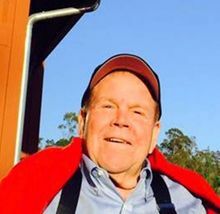 James "Jim" Wright Peterson died peacefully surrounded by his family on January 8, 2019 in Half Moon Bay, California at the age of 74. Jim is survived by his wife, Laura; his sister, Kathy; his children, Ben, Sarah, Samantha, Nick, and Nate; his grandchildren, Charlie, Tallulah, Atticus, Hannah, Kaylee, Braeden, Christian, Mylia and William. He was predeceased by his parents, Burrill and Virginia Peterson. Jim was born on March 30, 1944 in Washington, D.C. He graduated from the University of Maryland in 1966 with a B.S. degree in Mechanical Engineering and received a J.D. degree from Catholic University, School of Law in 1972. After moving to Half Moon Bay, California, he began a successful career as a patent attorney, becoming a partner with Burns, Doane, Swecker and Mathis and then with Jones Day. Jim was an accomplished sailor winning three consecutive DC 14 catamaran class championships and loved being on the waters of the Chesapeake Bay and the San Francisco Bay. He was a generous man who had many adventures (some classified) with family and friends. A celebration of life will be announced at a later date. In lieu of flowers, please send donations to Mission Hospice at https://www.missionhospice.org/donate/.